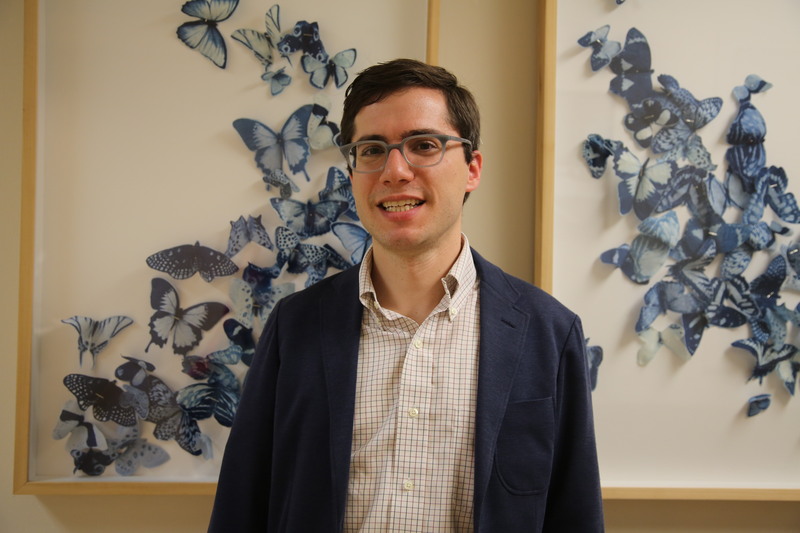 Brian Goldstein, assistant professor of art history at Swarthmore College, explores the topics of architectural history, modern architecture and planning, and the intersections between race and the American built environment in the courses he teaches. This summer, he continued research for his second book, “Bond: Race and the Modern City,” which explores the life and work of famed African-American architect, J. Max Bond, Jr. (1935-2009), in relation to the larger crossover between race and the built environment. Professor Goldstein has been a member of the Swarthmore academic community since the fall of 2017, teaching courses like “Architecture of Philadelphia” and “Global History of Architecture.” As he sits near his desk in Beardsley 204 surrounded by sleek, grey furniture and architectural books, he begins to share what drew him to Max Bond and what he ultimately discovered throughout the course of his research. 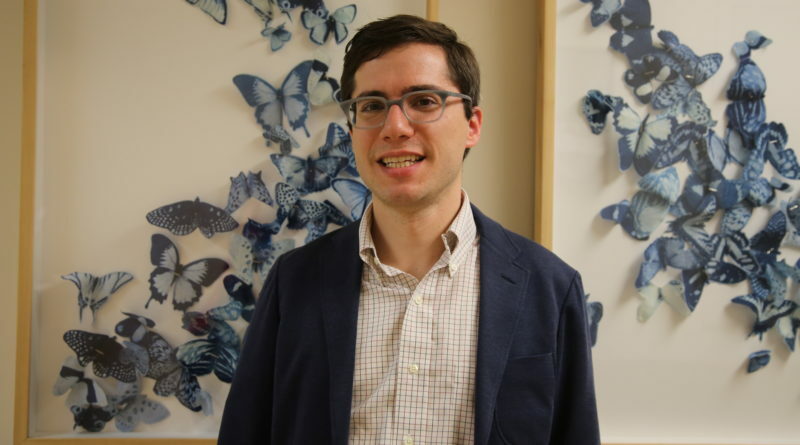 A new grant from the Graham Foundation for Advanced Studies in the Fine Arts ultimately allowed Professor Goldstein to fully commit to this summer research. The grant simultaneously reaffirms the importance of Goldstein’s research while also providing the necessary means to continue archival work. Goldstein recounted that while the new project seemed daunting at first, the excitement found from sifting through old archives bursting with letters and accounts soon prevailed. Professor Goldstein strives to use Max Bond’s story to discuss the crucial intersection between race and architecture. Professor Goldstein’s first book, “The Roots of Urban Renaissance: Gentrification and the Struggle Over Harlem,” which explored how community grassroots organizations changed the Harlem district of New York City, similarly delves into this pivotal intersection. In fact, this book was where Professor Goldstein was first introduced to Max Bond. He has now completed ten oral interviews with a range of people — Max Bond’s sister, former co-workers, college and graduate school classmates, friends, and students. Goldstein affirmed that his favorite interview was with Jane Bond, Max Bond’s sister. He stated that “Siblings have good stories, lots of memories, and a view into a person’s young life that is almost impossible to get anywhere else.” He was also struck by the interviews he conducted with four classmates — two white, two African-American, two architects, two not — of Bond’s in both Boston and Cambridge; he was fascinated by how their professional and racial identities influenced the different perspectives they had on Bond and on Harvard in the 1950’s. Motivated and inspired by the educators and leaders around him, Max Bond graduated Harvard in 1955 and went on to receive a master’s degree from the Harvard Graduate School of Design as well; he was one of eleven African-American students in the undergraduate school and the only African-American student in his architecture graduate program. Professor Goldstein’s summer research sparks an important question that is often ignored – how can an industry that defines and dictates the American built environment be comprised of a mere two percent of African-American architects? Questions like these reaffirm the important intersection between architecture and sociology and remind researchers, educators, and designers alike in the field that the social history of a space — the history of a building through the lens of how it is used and by whom – is just as significant as the architectural history of a space. If the history of architecture and the built environment interests you, explore the art history course catalogue to view Professor Goldstein’s course listings available in the spring of 2019.